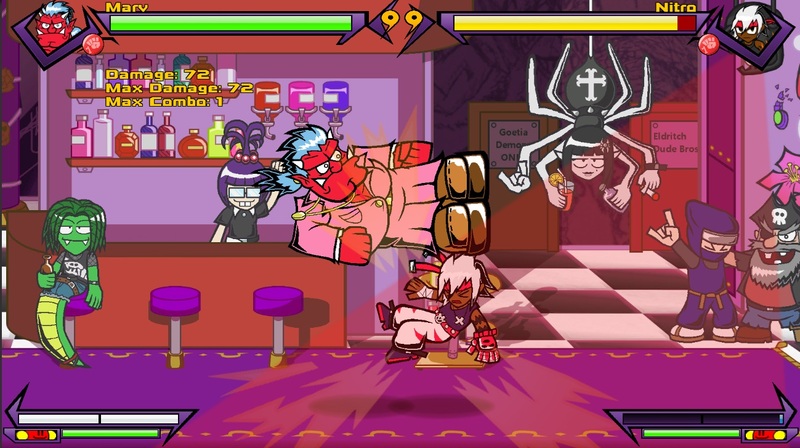 Beatdown Dungeon is a hybrid between dungeon crawler RPGs and fast-paced 2D fighting games. Travel through randomly generated dungeons, find treasure and fight all kinds of weird monsters. The combat is inspired by games such as Guilty Gear or Under Night In-Birth. Controls are easy to grasp and combos allow for creativity, with a lenient cancel system and the ability to summon helper characters . Develop your own fighting style by equipping badges to modify your skills and creating your own Custom Demon fighter.